It has been years since our family last used an alcohol-based mouthwash. It was this one painful night when the hubby gargled this undiluted mouthwash that stung his throat and tongue for hours! It was the most horrible feeling, he still remembers it to this day. The dutiful wife that I am, ever since got hold of Swish mouthwash and nothing else. Swish was the very first brand we got hold of that time that’s alcohol-free. We have not thought of switching since we find the other alcohol-free brand too mild for our taste, like you have not washed your mouth at all. Kind of defeating the purpose of mouth washing, really. Arctic Chill and Peppermint Fresh variants have since been staples in our toiletries supply cabinet. 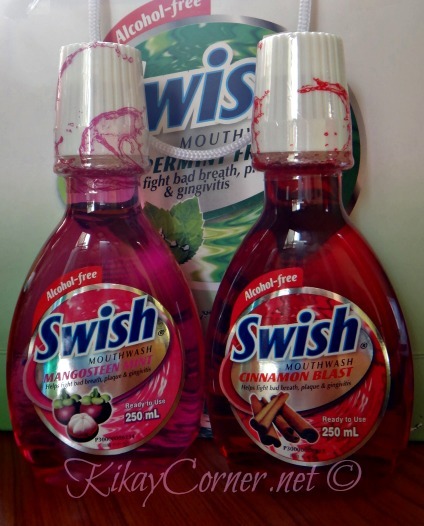 I am so happy to have learned that there are two other Swish variants available in the market – Mangosteen Mint and Cinnamon Blast. I have always loved mangosteen, this is a winner at first swish. While the hubby, being big on anything cinnamon, that’s clearly his. And in the event that you have no clue which variant of mouthwash to pick, check out Swish’s Minty Meter. Sweet! I really am loving the mild Mangosteen Mint! Aside from the fact that it’s pink! 🙂 It has since become my default mouthwash of choice. 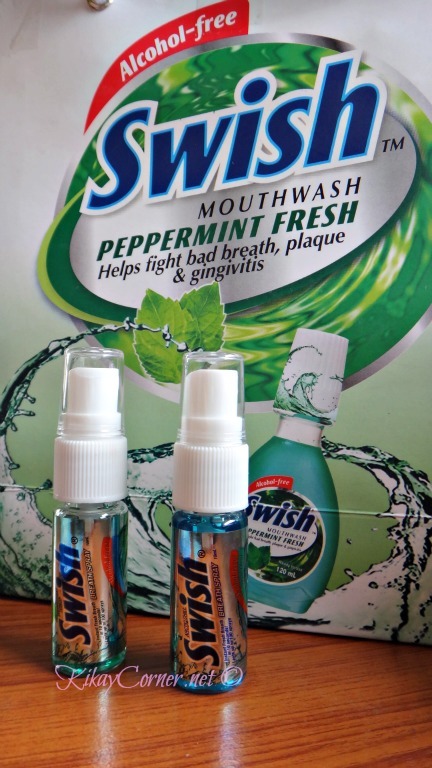 What makes Swish plenty neat is them coming up with these handy dandy breath sprays! Instant fresh breath in 10 seconds! So convenient especially when we barely have time to brush our teeth when we are not home are in transit. It quickly kills germs and bacteria in the mouth. Simply spray 1 to 2 pumps into your mouth to freshen breath instantly. No more excuse for bad breath. And just like their predecessors, absolutely alcohol-free. 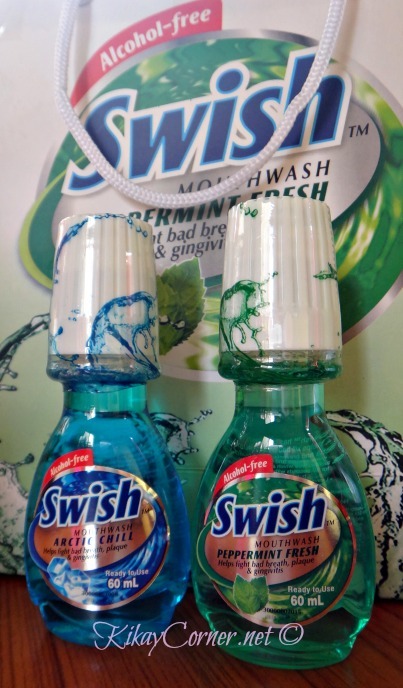 Swish Breath Sprays are available in 2 refreshing variants -Arctic Chill and Peppermint Fresh and retails for P105 (approx. $2.60) a piece.